Everyone has a unique genetic predisposition: there people who can eat whatever they want and not gain weight and there are people who gain weight no matter how little they eat. With over 400 different genres identified in the progression of obesity, only a few appear to be significant to weight. The strength of the genetic influence on weight disorders varies with each person, family, and generation. 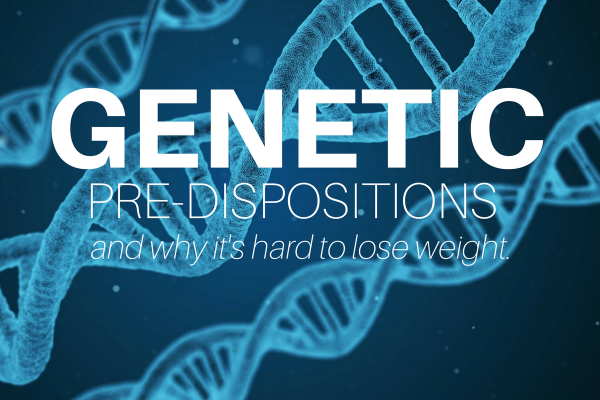 Read more about the unique link between genetics and weight gain below. Who has the fat gene? Because it varies from person to person, research suggests that only about 25 percent of genes carry the predisposition to be overweight, while for others it may be as high as 70-80 percent. It is important to understand the role genes play; if you have been overweight all your life, chances are your parents and other relatives are significantly overweight too. However, the study found that if both parents are obese, the probability of obese children was as high as 80 percent. People in this category face challenges with weight loss, but it is not impossible to achieve, with the support of Ideal Protein coaches. Weight is dependent on the calories you consume, store, and burn. However, each factor is influenced by the unique gene composite and environment of the body. Genes contribute to obesity by affecting appetite, metabolism, cravings, body-fat distribution, and ways to cope with stress. These factors determine how quickly the body burns and responds to calories and fat. In fact, gene composition starts at the moment of conception and continues throughout a lifetime. Thought to be hereditary, insulin resistance still baffles researchers. Linked also to life choices, some develop diabetes or Metabolic Syndrome X, while others do not. Insulin is a hormone created by the pancreas that allows cells to use glucose for energy. If cells don’t use the insulin effectively, it creates an insulin resistance that causes a buildup of sugar in the blood. This buildup and resistance is considered pre-diabetes. When blood glucose levels are higher than normal, it is considered type 2 diabetes. In fact, insulin resistance can go unnoticed for years if blood glucose is not checked regularly. As reported by the American Diabetes Association (ADA), nearly 70 percent of people with insulin resistance will develop type 2 diabetes if major lifestyle changes aren’t adopted and implemented. It’s important to remember that a diagnosis of insulin resistance and pre-diabetes is a warning. 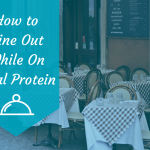 It is possible to reverse this condition with a healthy lifestyle change like that of Ideal Protein. Does obesity run in your family? If the predisposition to be overweight is keeping you from losing weight, we want to help. Start the conversation with our weight loss experts at Ideal Solution and learn the science behind genetics and weight gain. It all starts here – get started today.